Austin mayor Steve Adler welcomes the GAA MBK Executive Committee. 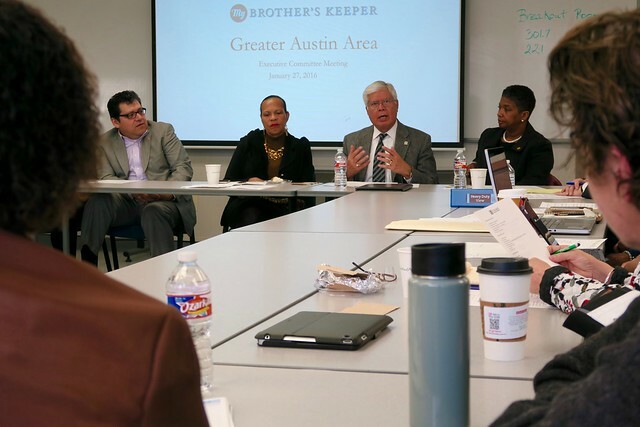 On Tuesday, October 27, the Greater Austin Area My Brother’s Keeper Initiative (GAA MBK) held it’s first Executive Committee meeting on the UT Austin campus. 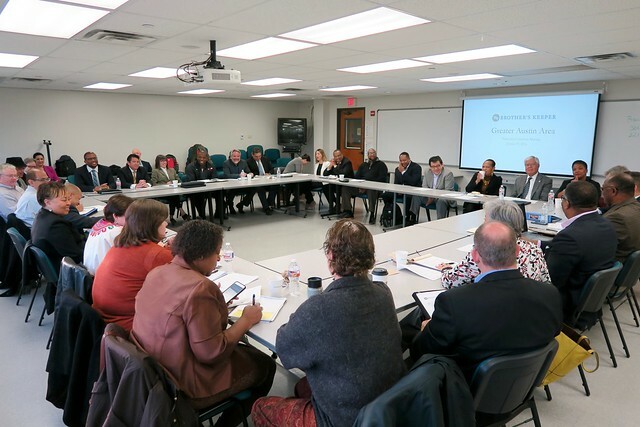 Community leaders from the city, county, civic organizations, UT Austin, ACC, non-profits, and others joined for a lengthy discussion to determine the direction of the local priorities and establish taskforce committees for GAA MBK. 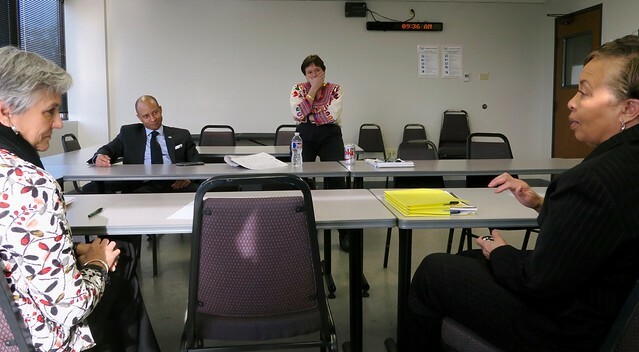 Additionally, the Executive Committee heard from mayor Steve Adler (pictured to the right) and Susan Dawson, President and CEO of the E3 Alliance (pictured below) who provided an assessment of data on local boys and young men of color in the Austin area. Girls are much more likely than boys to be kindergarten-ready (57% v. 48%). 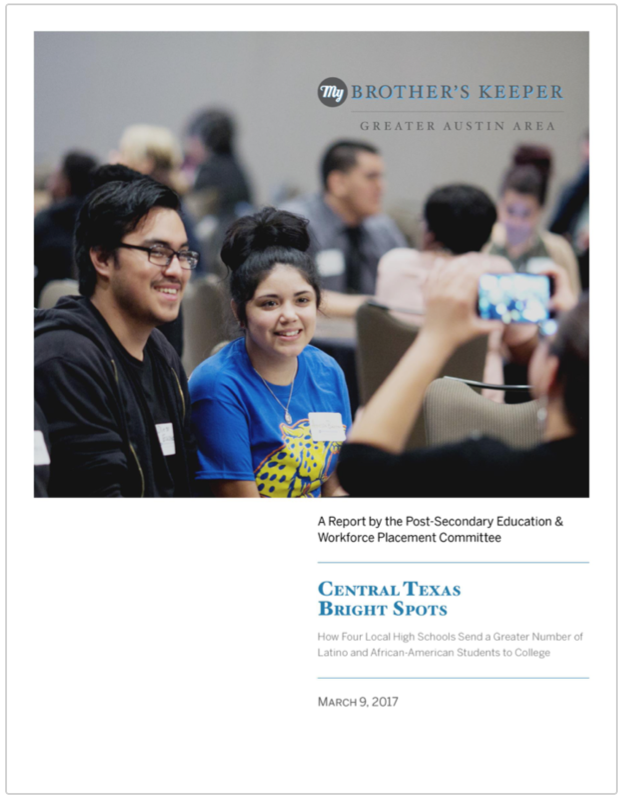 Hispanic and Black males are 10 times more likely to be retained in the ninth grade; those retained in the ninth grade are 10 times more likely to drop out of school. Median income for a high school graduate is $19,408; for a college graduate with a bachelor’s degree is $50,744. White students at eighth grade are four times more likely than Black or Hispanic students to be proficient at eighth-grade algebra. “We have to figure out how we use the strength and resources that exist in this community right now to ensure that there is equal opportunity and access for everybody that lives in this city. We have to do that because our city’s future and spirit and soul of who we are depends upon our ability to do that and do that well,” he said. At the meeting, Dr. Vincent also announced that the GAA MBK will be convening at the SXSWedu conference for the second year in a row this March. Be on the lookout for more information on the SXSWedu event in the months to come. Patrick Patterson, Assistant Vice President of The Longhorn Center for School Partnerships discusses the importance of mentoring with fellow Executive Committee members. Susan Dawson, E3 President and Executive Director, presents her findings to the GAA MBK Executive Committee. 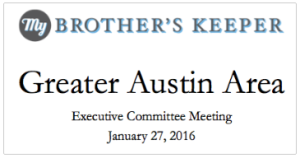 Austin Mayor Steve Adler has announced the formation of a task force for the My Brother’s Keeper (MBK) Austin initiative. The task force will be co-chaired by Dr. Gregory J. Vincent, vice president for diversity and community engagement at the University of Texas at Austin, and Mark Madrid, CEO for the Greater Austin Hispanic Chamber of Commerce. On hand for the announcement held Aug. 17 at Austin Community College were Dr. Richard Rhodes, Austin Community College president; Travis County judge Sara Eckhardt; Dr. Paul Cruz, AISD superintendent and about 50 others from nonprofit organizations, AISD, ACC, UT Austin; Huston-Tillotson University, the City of Austin and Travis County offices as well as community members. MBK Austin was launched at SXSWedu last spring. Since then, numerous school districts, organizations and agencies have signed on to become part of the initiative which will focus on educational opportunities and ending the school-to-prison pipeline for young men of color in Austin and Travis County. All of those who spoke that morning talked about the great opportunity to help youth and young men of color succeed on all levels. “I believe that the stars are aligning for a conversation about opportunity that we haven’t seen in a long time and its long overdue,” said Eckerhardt. Vincent said, “What’s so exciting about MBK Austin as Mayor Adler said, we can take challenges – and we do have challenges in our communities–and turn those into strengths and opportunities. With our collective efforts, we have the opportunity to make sure all of our young people thrive.” Vincent also said the task force would be held accountable and is planning another SXSWedu event to report back on progress. “We can say that as a community, we did not just talk about this effort but actually executed initiatives and best practices to make sure that we’re making a tangible, positive impact on the lives of our young people,” he said. Madrid called the announcement “a signature moment for Austin and Travis County.” He said, “We put aside self-interest for shared interest… Our youth and our young men of color represent the minds of tomorrow and we must take the responsibility to provide them a compass , a guide post and an enduring example.” As the cultivation of our youth and our young men of color go, that is how our Austin, Travis county state of Texas and American economy will go.